No I did not take a “major” symphony audition very recently. BUT that was my approach to my most recent audition. If you are interested in the past few months of getting back into music, please read this post. From that moment, things changed. I started to practice every day. 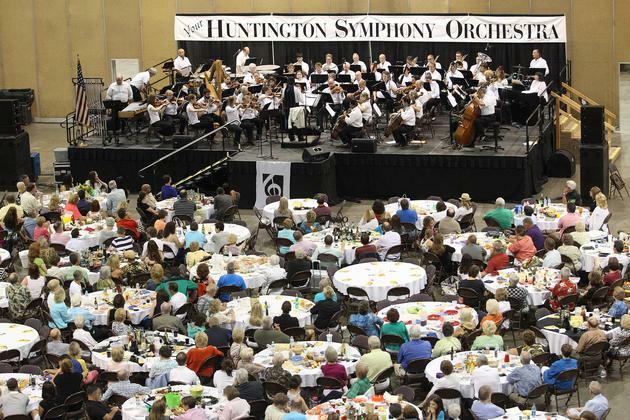 Then one day, I saw there was an opening for Bass Trombone in the Huntington Symphony Orchestra, my dad’s hometown orchestra. I didn’t think much of it (partly because I play tenor trombone), but as I got to thinking, I thought “Why Not?” I had some experience playing bass trombone in a couple community orchestras. I have always liked the sound of the bass trombone. Dad plays bass trombone. Plus, it was dad’s hometown. So starting in April, I put the tenor back in the case, got out my 1970 Conn 62H, and started to practice. I asked dad to send me some bass trombone/tuba etudes and studies. I played scales to really work on the positioning of the second valve and the low B-natural. I downloaded Denson Paul Pollard’s warm-up/maintenance routine and played that EVERYDAY. What I really like about Mr. Pollard’s routine is that he incorporates excerpts into his routine right away. This helped me get familiar with the excerpts for the audition. Growing up the son of a bass trombonist, not only was I fortunate to hear a great sound from dad, but also I was able to learn about other bass trombonists and listen to their recordings; and that’s what I did. George Roberts, Douglas Yeo, Charles Vernon, Blair Bollinger, Stefan Schultz, David Taylor. These were the guys I listened to leading up to the audition. In addition to practicing and listening, I recorded myself a lot on the excerpts (the most I’ve done). Fortunately, my house has different acoustical rooms (kitchen wood flooring, garage, rooms with thick carpet) which allowed for different sounds. I also recorded myself in a very large empty sanctuary at my church. All of these different scenarios helped me in my preparation. Audtion day arrived. I woke up, warmed up, and then made the 3 hour 15 minute drive to Huntington in the morning and got to town a couple hours before I was scheduled. Once I got to the audition, I immediately was able to avoid the waiting room and head straight to a private practice area. There I was able to focus in on what I was there for. The first round consisted of: The Ride (major/minor), Ein Heldenleben, Franck Symphony in D, and Rhenish. I finally got the call and walked to the stage where half a screen was set up on one half of the concert stage and I faced the other half. Every excerpt went as planned. The music came out strong, and I felt very good about my playing. After I finished, they took me to the waiting room, where I waited with about 15 other players who had already played. Still in my “audition mode,” I wrote in my practice log what I thought about my playing for each excerpt (in detail). About 45 minutes later, they finished and announced that out of the 19 that auditioned, the committee wanted to hear a few again…one player and ME! I was excited (heartbeat picked up a little bit), and then calmed down because the work had only began. The other guy went first due to original numbering. I quickly went back to my practice area and refocused on the task at hand. For the second round they wanted to hear the remaining excerpts: La Gazza Ladra (all three sections), Beethoven 9, and Brahms 4 (with the section). As I began to play, everything was clicking. My many hours of practicing and attention to detail were paying off. After the Beethoven, the two other orchestra members came out. We played and things sounded terrific with intonation. Side Note: this was the first time I reached an audition that involved section playing. After that round finished, I went back to the waiting area where they followed a few short minutes later and announced that they would like to offer me the position! I was in disbelief to be honest (fast heartbeat, but trying to remain calm). I was so excited and relieved that everything paid off! Looking back on the audition, there were a couple of factors involved that I look to it being a successful audition. 1) Location–It helped that I knew the area of Huntington, WV, beforehand. Everything from where the university/audition is located to which streets are one way and where to park. This sort of thing was not a variable that would disrupt my focus. 2) “Major Symphony”– I went with the mentality that this was a HUGE DEAL (hence the title of the blog post). I remember reading a post by Ben Coy in his blog about winning an audition in his mother’s hometown, and this motivated me to work extra hard. With it being dad’s hometown and relatives still living in the area, I REALLY REALLY wanted to win. Therefore, the effort to practice, study, listen, and record meant it was a “Do or Die” situation. There wasn’t any margin for error. I wanted to be near perfect. 3) Faith–As you may have noticed in posts from this blog and my former blog, my faith is heavily integrated into my music. As I drove down to Huntington on audition, I was able to collect my thoughts musically and spiritually. I had saved a devotional from Webb Simpson, former 2012 U.S. Open Champion, that he wrote for the first day of this year’s U.S. Open at Merion. A copy of the devotional is found below. Well, I have already started playing with the orchestra since last week, and their concert schedule can be found here. They play about once every other month in the winter. I’m excited to be in this group partly because of the exposure on bass trombone literature (….I like low notes) and the camaraderie of the group. Some of them went to college with my dad at Marshall University, so I plan to hear some good stories! For now, I plan to continue playing tenor trombone BUT my bass skills are definitely needing to be developed. I plan on taking a bass trombone lesson or two for input and coaching. This world of doubling will be a new challenge which means more to practice. Who knows where this will take me. I plan to write a post on my take of doubling and practice routines and what techniques I use. 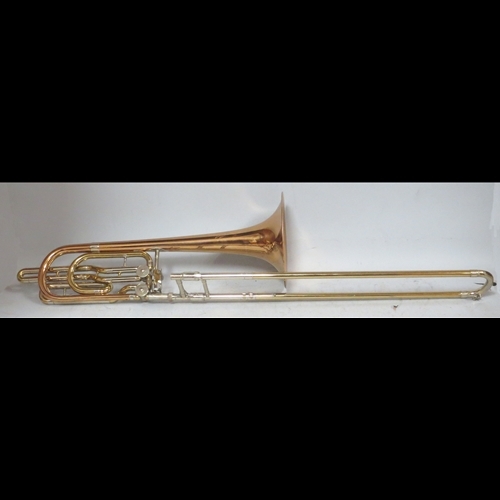 If you are interested in what trombones I use, they are listed in the Equipment tab.